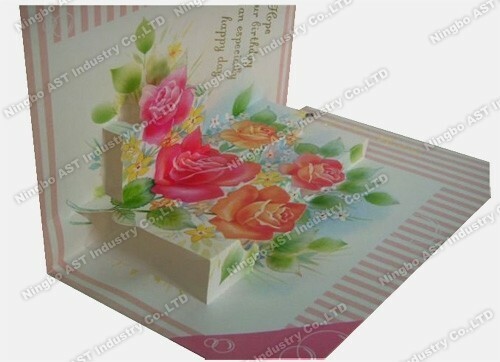 Product categories of Music Greeting cards, we are specialized manufacturers from China, Musical Greeting Cards, Recordable Greeting Cards suppliers/factory, wholesale high-quality products of Musical Birthday Cards R & D and manufacturing, we have the perfect after-sales service and technical support. Look forward to your cooperation! Ningbo AST Industry Co.,Ltd has 17 Years Experiences to produce the greeting cards,Christmas Card,Birthday cards,Religious Cards,musical greeting cards,Recordable Greeting Cards, Greeting cards with led lights,Pop-up Greeting cards etc.We can assure you of competive price,high quality,prompt delivery and technology supporting. The Greeting cards are usually used for celebration,promotion,birthday,Holiday and so on. There are the General Greeting Cards,Recordable Greeting cards,Music Greeting cards,Led Greeting cards and Pop-Up Greeting Cards. 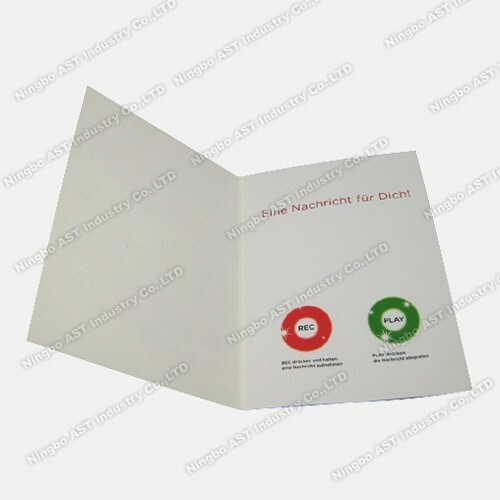 B.Recordable Greeting cards----The Clients can record their own messages and playback them. 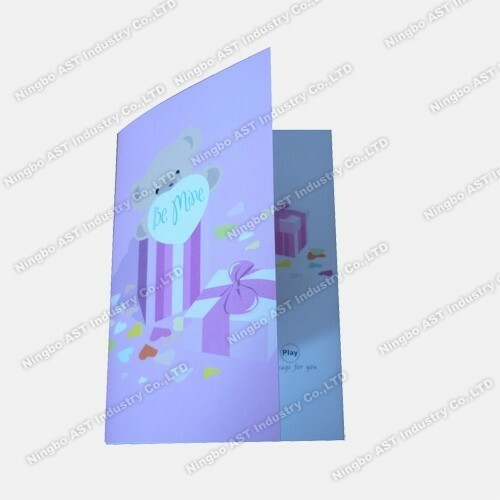 C.Musical Greeting cards---The clients provide their audios,then we programmed them into the Sound module,then it will play the customized audios. 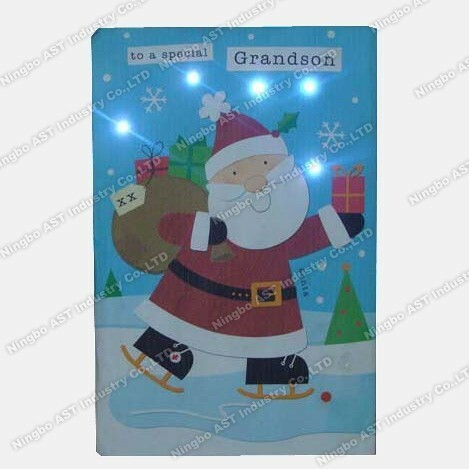 D.Led Greeting Cards--The Greeting cards have led lights,which can flash different color. Slide tongue---open the cards,it will play the message automatically.